Have you ever stopped to notice how many times you’re bombarded by food marketing each day? Ads come at you from magazine pages, T.V. commercials, on websites and billboards, each boasting of cheap, convenient and tasty ways to cure your hunger. The question “What’s for dinner?” has never been more complex than now. Extensive menu options and large entrees have distorted your concept of a proper meal, and before you know it you’ve fallen into the trap of the chain restaurant, the drive thru, and the take-out line. But wait – truly healthy eating is simple. First, block out the blizzard of food marketing around you. Remember that advertisers want your money, and they don’t stop to consider if the food they promote will expand your waist – that’s your job. It’s safe to say that, with few exceptions, any food that you see marketed should be avoided. 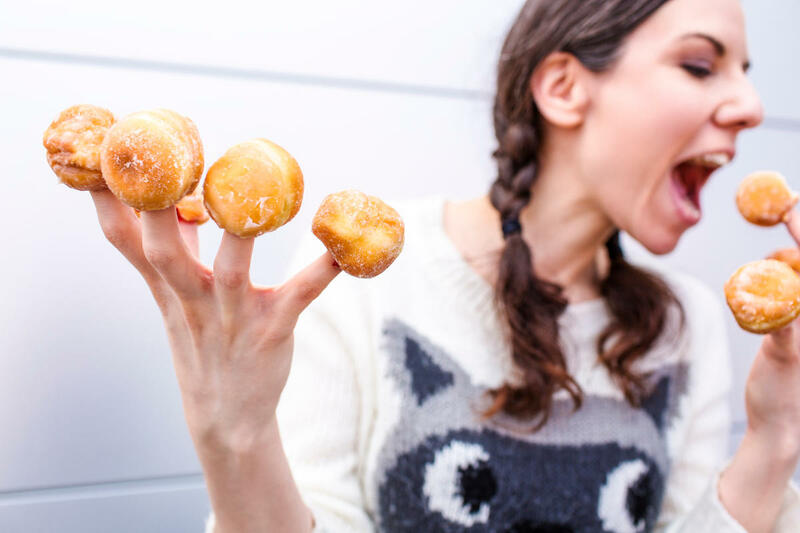 Like those munchkins we all so easily devour (They’re 70 calories each!). When was the last time you saw an ad for grilled white fish and steamed broccoli? So what does truly healthy eating look like? A healthy meal contains lean protein, fresh vegetables and the occasional modest serving of whole grains. Scrambled egg whites, sliced tomato and steamed spinach. Whole grain oatmeal, a scoop of protein powder and sliced fruit. Homemade breakfast sandwich: Multi-grain English muffin with lean turkey slices and egg. Dark baby greens topped with chopped chicken breast and diced tomatoes. Albacore tuna (packed in water), mixed with finely chopped cucumber. Lettuce Wrapped Sandwich: Lean turkey slices, lettuce, tomato and mustard. 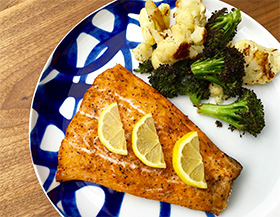 Try the recipe below my signature for Cajun Salmon with Roasted Cauliflower and Broccoli below. While healthy eating is a huge factor in achieving your ideal weight, exercise is the other half of the equation. Your exercise routine should be challenging and should be done on a regular basis. What are you waiting for? 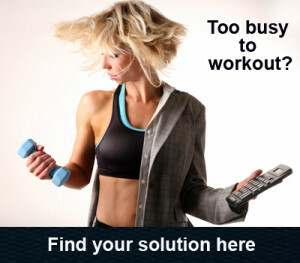 Sign up for you free 4 Minute Fat Loss Furnace Special Report right after this article. This recipe for Cajun Salmon is a simple and flavorful way to eat a lean dinner. The Roasted Cauliflower and Broccoli are delicious enough to save the leftovers for a mid-afternoon snack! 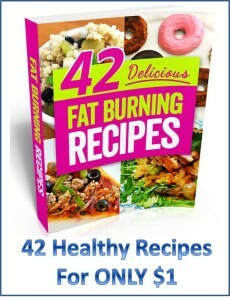 Start your healthy eating and cooking with these recipes. Preheat the oven to 425 degrees F. On a rimmed baking sheet combine the cauliflower and broccoli florets with the olive oil, salt, black pepper and garlic. Roast for 20 minutes, until lightly charred. Toss with lemon juice. Reduce the oven temperature to 400 degrees F. Rub the salmon fillets with the Cajun seasoning. Place on a baking sheet and roast for 15 minutes, until flaky. Serve with lemon slices. Enjoy! Nutritional Analysis: One serving equals: 406 calories, 19g fat, 12g carbohydrate, 4g fiber, and 30g protein.